With Christmas approaching it's time to start thinking about nominations for the AHMF cup for 2016, the cup will be presented at the xmas lunch on 11th December, please feel free to chat to others within the club, their thoughts may differ from yours, but may alert you to other ideas. 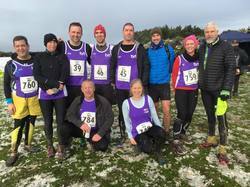 Your vote can be for many reasons, their running/ swimming/ cycling, achievements, or someone who has been helpful/inspirational on a personal level, maybe someone who just helps the club moving forward. There are many reasons why each of us thinks any individual deserves this award but the more voters the better the outcome, you are welcome to add a comment as to why you voted for your person if you wish. I will start asking for names from mid-to-end of November, so start thinking/talking gathering ideas. You can download the Voting Slip from this page. Newer members who perhaps never had the privilege of knowing Alex, can read a bit about him on the website, or chat to other members to understand why this award is so important to BRT. Swim 17:38 Bike 47:38:10 Run 29:22. A big thank you to Andy, Angela and Julian for organising and cooking at our beach BBQ. The weather and company were perfect and a great time was had by all. Lovely to get the Juniors and Adults together. Lots of pictures in the gallery. 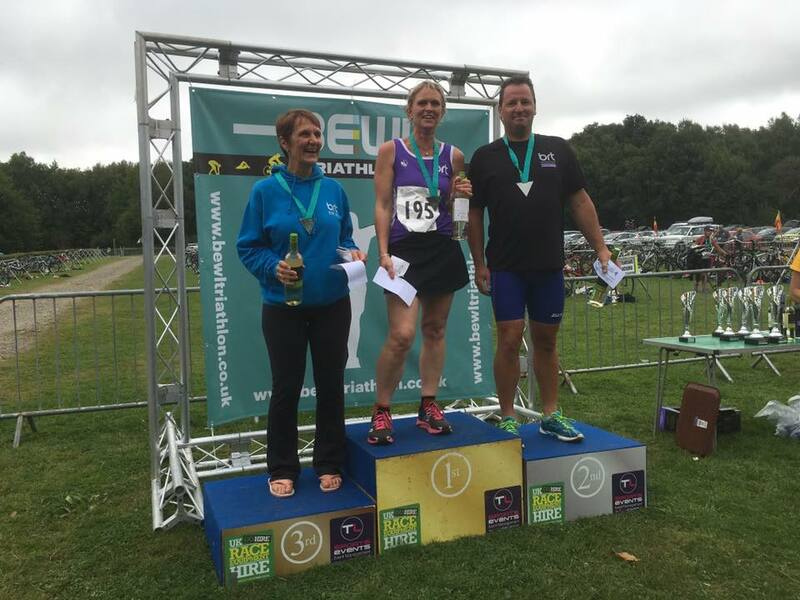 The Owler Tri’s (Ashford) offer a middle and standard distance events plus aquabikes. The triathlons start in Conningbrook Lake, before competitors head out of the Julie Rose Stadium – onto quiet, scenic country roads through Brook, Wye, Godersham, Molash and Challock for the bike section, before returning to transition at trackside. 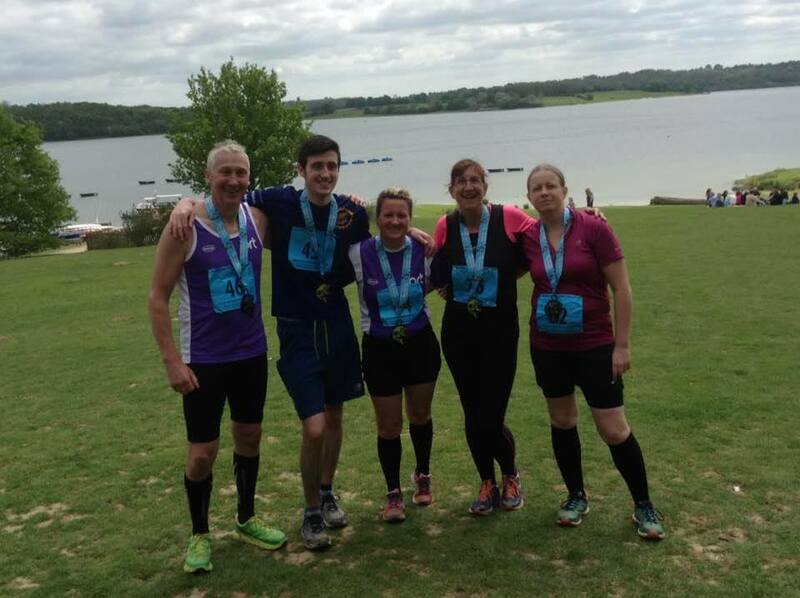 The 21K run section is flat two laps and follows a route around the beautiful Conningbrook Lake and surrounding country roads. You then head out for second lap to then return to cross the finish line in style at the Julie Rose stadium. Opting for the standard distance Dan Marshman finished 3rd overall in a time of 2:28:23 with David Palmer gaining a 3rd AG place with a time of 2:47:32. 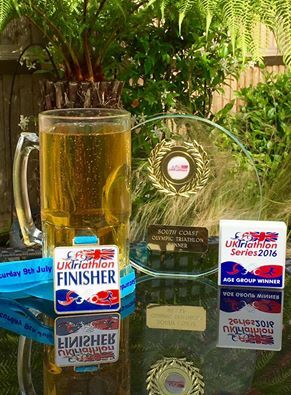 Obligatory Beer & Medal shot! 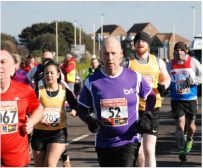 The third in the Bexhill 5km series, this race included the Sussex Grand Prix. The club had three members competing. Martin Reynolds, Barry Ingram and Ruth Frais. 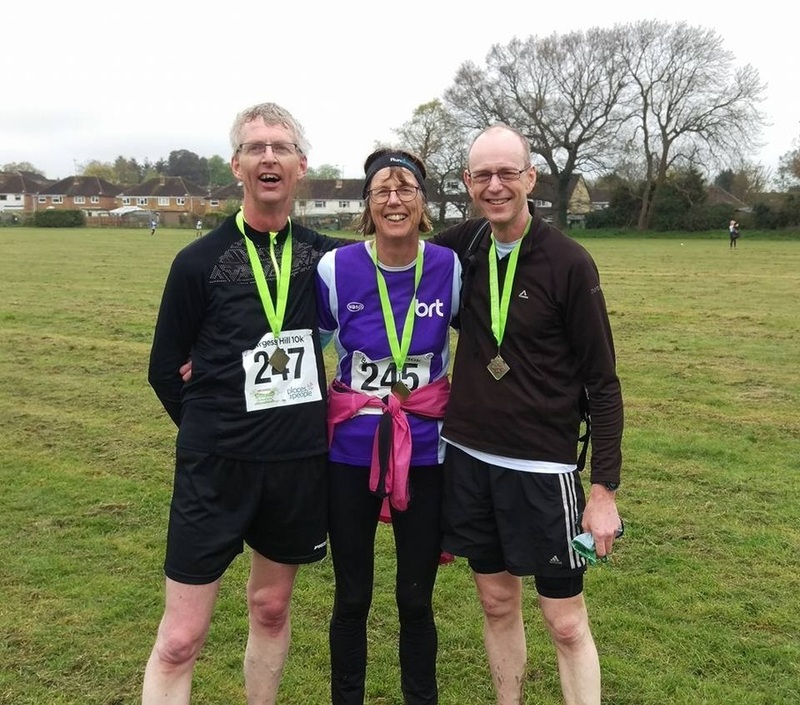 Their times were 18:32, 26:13 and 26:39 respectively. 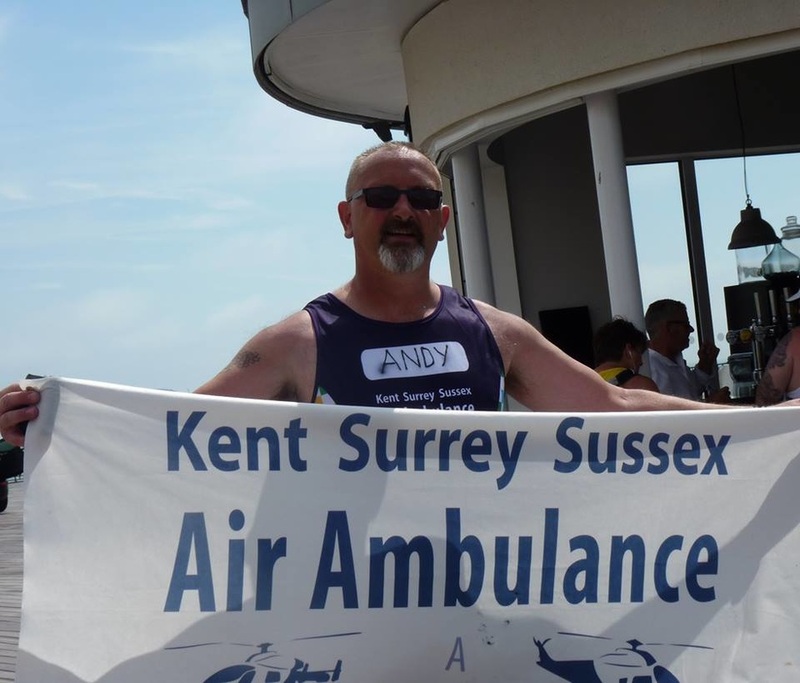 Junior coach Andy Croft organised the Pier to Pier challenge in aid of the Kent, Surrey & Sussex Air Ambulance service. 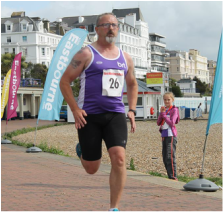 On a very hot day, Andy and a large group of friends including club members ran from Eastbourne Pier to Hastings Pier. 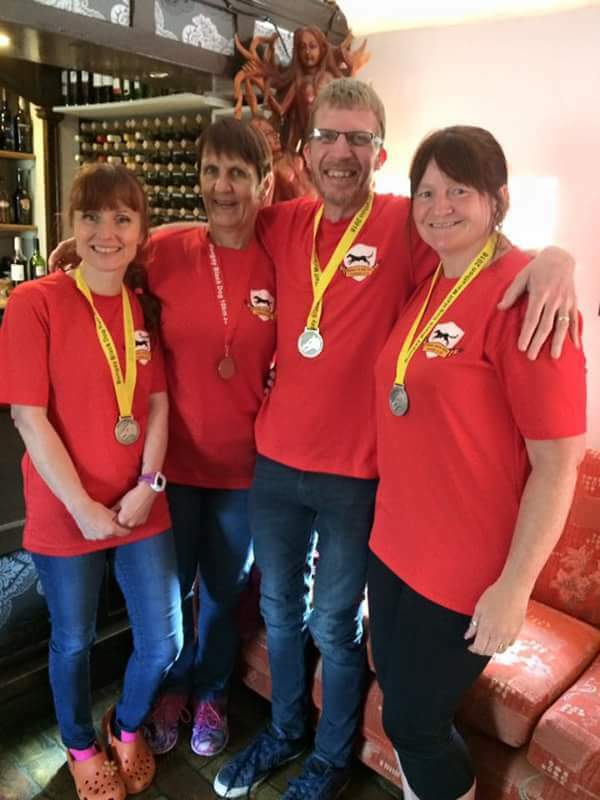 Congratulations to all on raising funds for an essential service. ​Five members competed in this informal evening Triathlon at Lydd. Dan Marshman had a great race and secured 1st place in a time of 1:02:41. 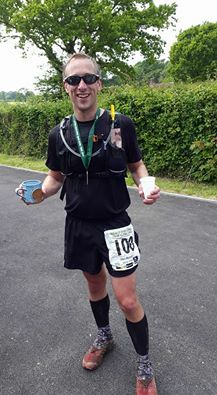 Brother Ali Marshman was next home in a time of 1:10:20. David Palmer is recorded as exactly the same time as Ali. 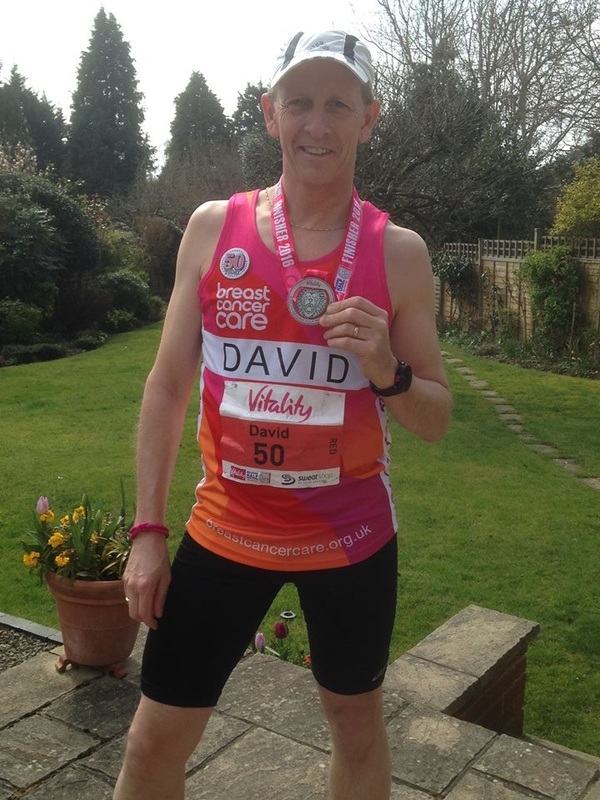 Tim Cox remembered just how much he enjoys Triathlon finishing in 1:14:56 and Lorna Cotter came home in a time of 1:37:34. A great evening was had by all! Swim 10:42 Bike ):58:22 Run 24:51. James Graham continues to have a good solid season clocking a shiny new 23:32 5km pb at this event. Barefoot all the way! 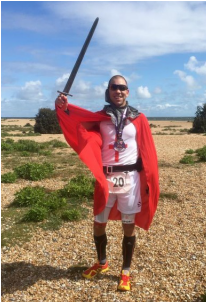 The Velopace Warrior Sportive is themed around the Battle fields and castles of Sussex & Kent, the ride takes in Herstmonceux, Bodium, Pevensey, Camber, Battle Abbey and Winchelsea. 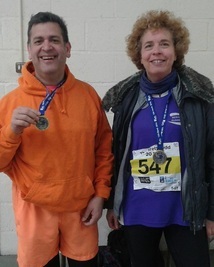 Lorna Cotter and Keith Wilson tackled the 65 mile route in wind and rain. Unfortunately Keith had to bail out at 50 miles due to illness. Lorna went on to complete her longest ride to date in a time of 6:01:14. Simon came 10th with 44m59s out of 55 males. Mick came 41st with 1h03m02s out of 55 males and I came 12th out of 56 females with 53m58s these were gun times as the chip timing wasn't working. The course was very easy and the weather pretty perfect. Windy but coming off the sea so it didn't hinder. Thankfully no head wind, also drizzly to keep you cool. A really great day for running." Dan's giant reward & award! 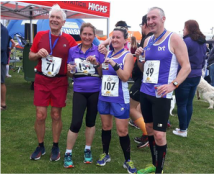 ​This race offers not only a spectacular seaside venue, but is also a perfect spectator friendly course, ideal for family and friends who come along to support and watch the non stop action in a fun and relaxed atmosphere. The venue guarantees large crowds to cheer competitors along.. A great weekend or day out for all! 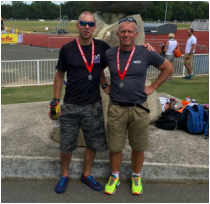 The Marshman brothers were in action in the Olympic distance of 1500m swim 40k bike and 10km run. 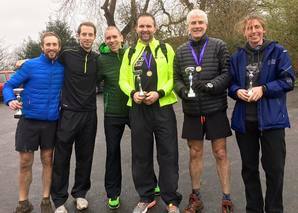 Dan Marshaman blitzed his way to a 1st place win in a total time of 2:10:40 whilst Ali Marshman gained a 4th AG place with a time of 2:34:22. Their split times were 18:27 swim 1:09:38 bike 40:48 run and 21:18 swim 1:22:11 bike 48:02 run respectively. ​ It was a memorable day for Dan he said "it's a special one which warrants the giant beer. 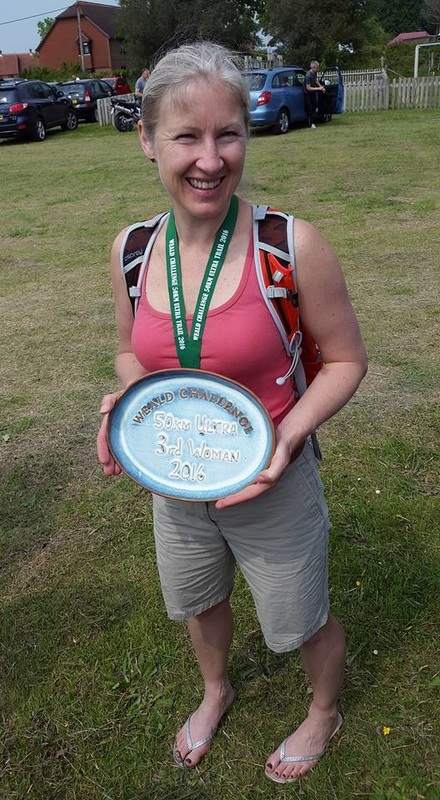 This is my first overall win 7 years on, in the same Triathlon that was the first I ever raced on my 35th Birthday!" Excellent results from the brothers. 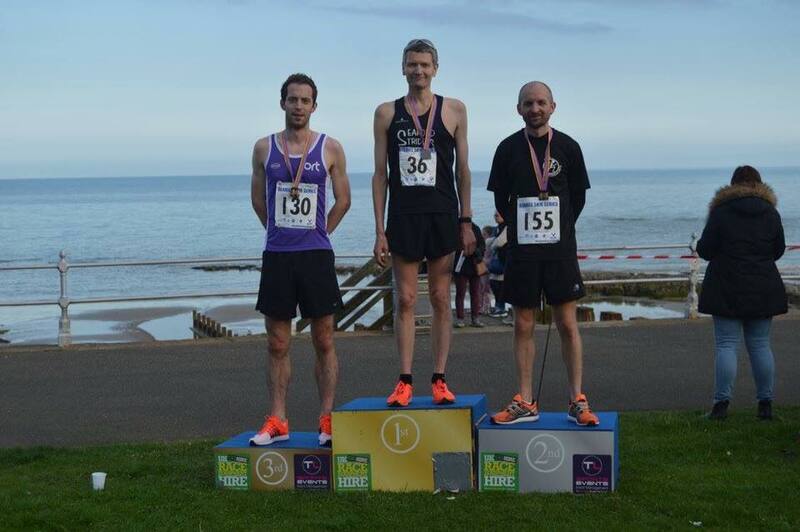 ​Martyn Reynolds continued his very successful season by running a new 10km pb at Rye 10km. His superb 39:47 time earned him 3rd place overall. Congratulations Martyn. 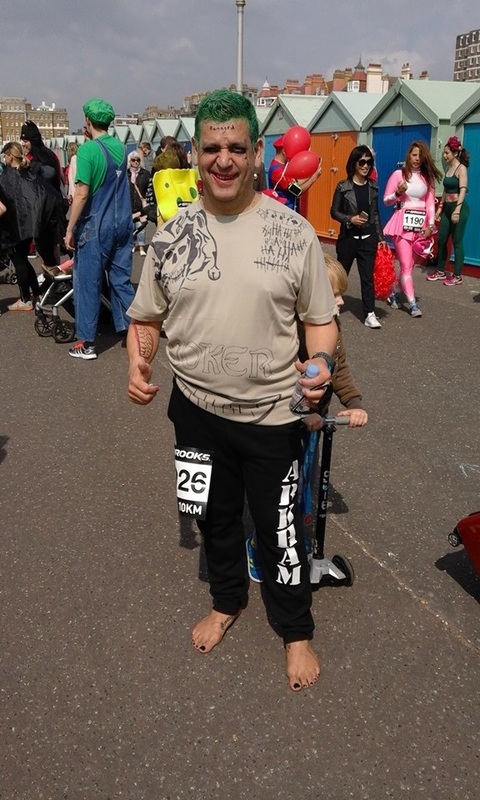 James enjoying his barefoot muddy run! 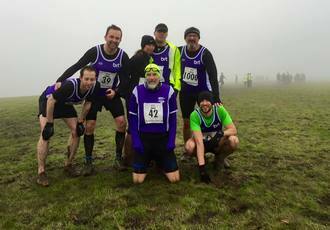 The Bewl 15, voted as 6th best race in the UK by readers of Runner’s World. 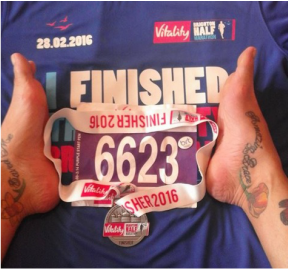 The 2016 race took place at 10.30 am on Sunday 3rd July 2016. 3 members took on that challenge which turned out to be quite muddy! 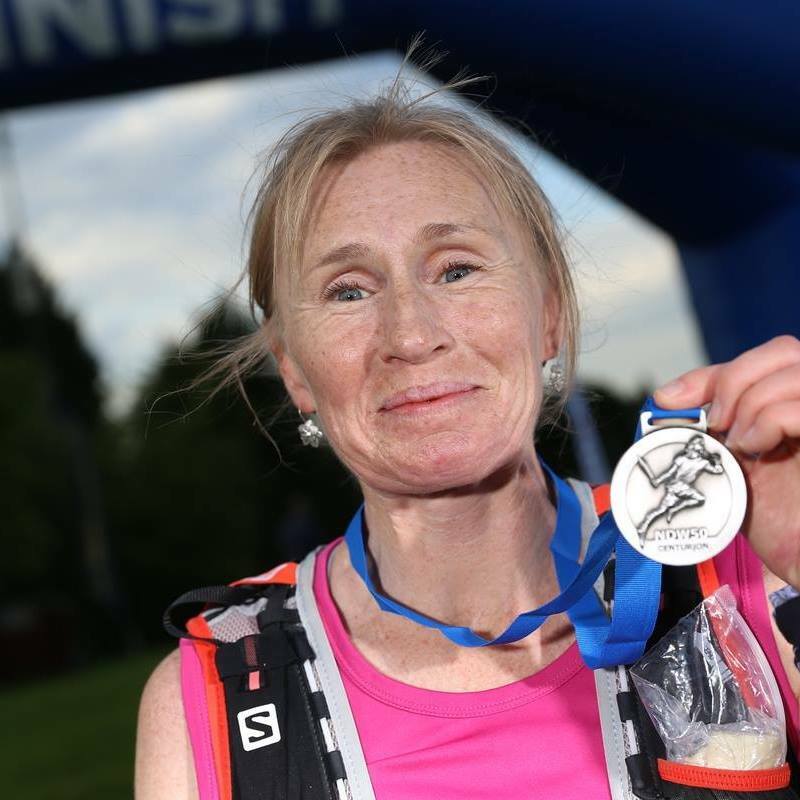 First home in a time of 2:08:36 was Andrea Harwood. 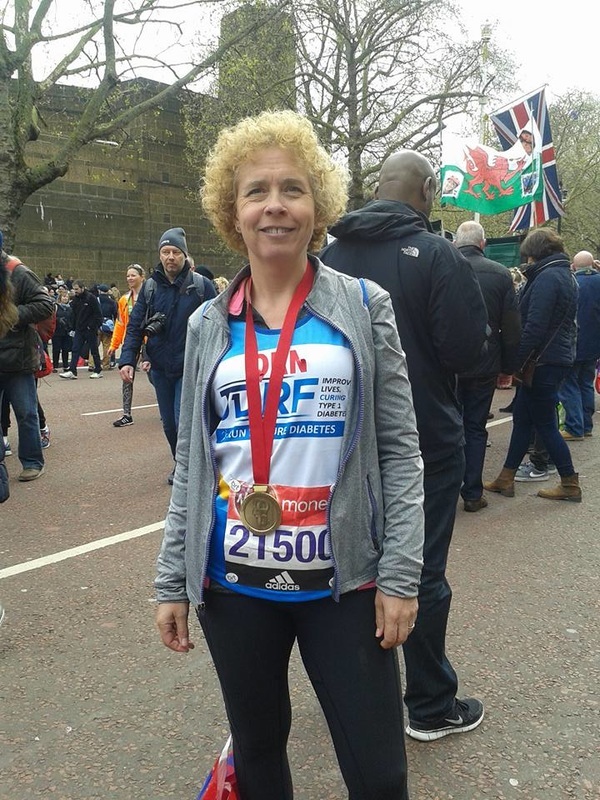 Sherrill Barrett thoroughly enjoyed the furthest she has run this year with a time of 2:29:21. 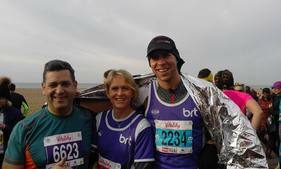 James Graham completed the set in 2:56:30. Running barefoot he certainly noticed the mud! 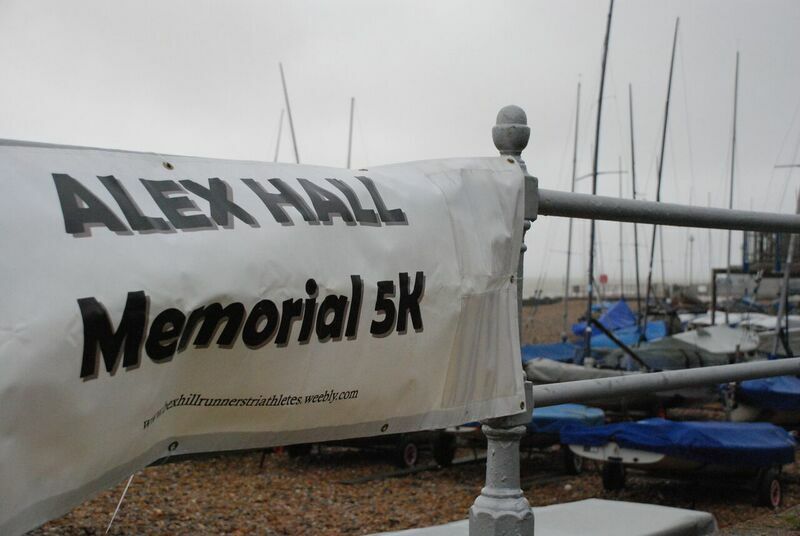 The popular 5km held on Bexhill seafront saw 4 members compete on a typically blustery evening. 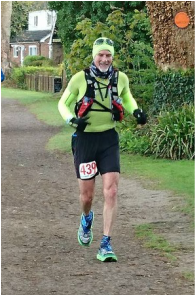 Martin Reynolds took 4th place overall with a time of 19:32 Erham Ibrahim recorded a time of 25:00 Andy Croft 25:59 and Barry Ingram 26:41. Well done all. 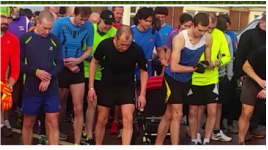 Thank you to Marie Carey for sending in the results from this mornings Park Run. Some very strong performances. 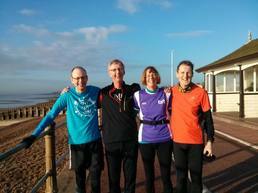 "Really nice morning at Hastings parkrun, Tom Brampton 20m39s New p.b., George Carey 20m54s New p.b., Simon Carey 21m20s New p.b., Mick Kirby 29m59s. 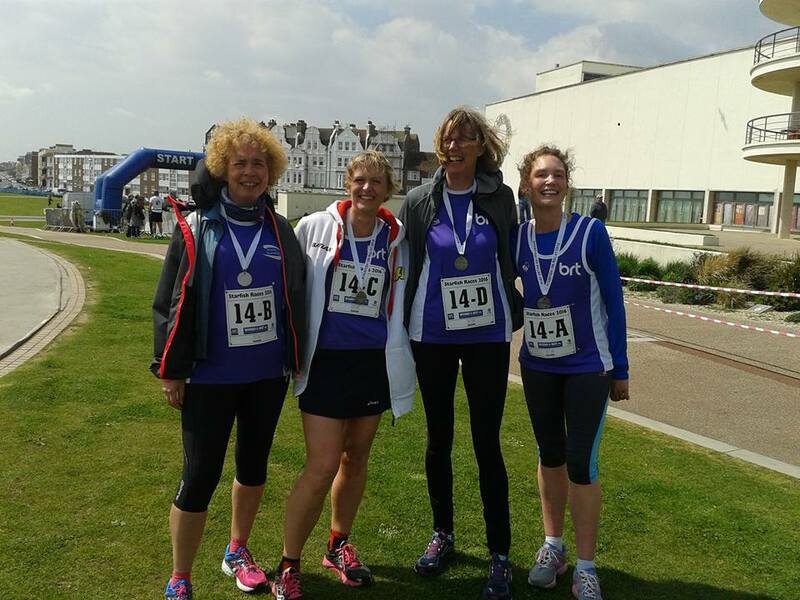 Ladies... Hannah Frais 25m35s, Marie Carey 26m04s, Cathy Bate 26m44s, Ruth Frais 27m21s." Set against the stunning backdrop of one of the most attractive grounds in Sussex, Ashburnham Place. 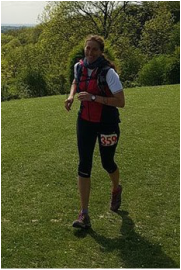 With an open-water lake swim, scenic, challenging bike section around the Sussex lanes and run through the stunning grounds of Ashburnham Place. There was something for everyone this year. 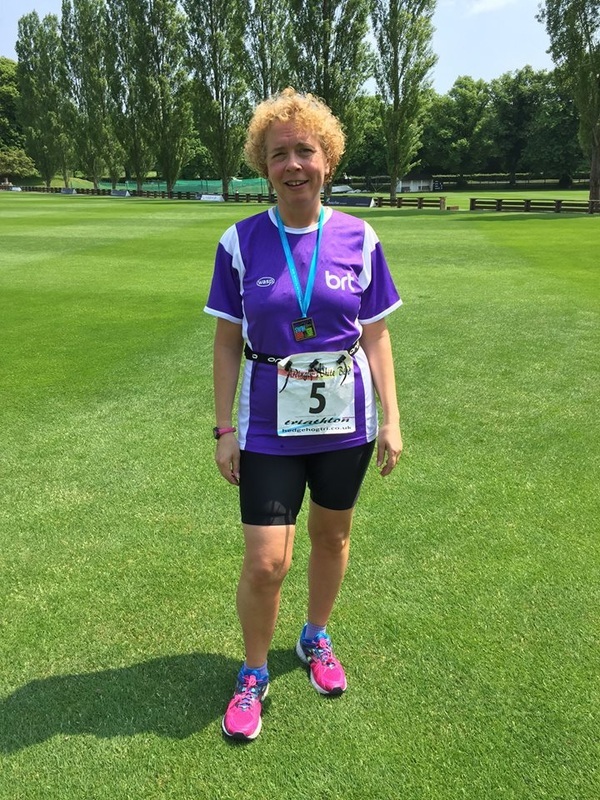 Events included a sprint adults triathlon, adults Aquathlon and kids Aquathlon races. 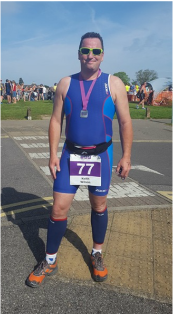 In the Sprint Tri (750m Lake swim, 20km Rural Bike course and 5km Run) Dan Harwood took 1st in his AG with a time of 1:17:16 Simon Irwin (2nd AG) recorded 1:23:03 David Palmer also 2nd AG 1:27:04 and Mark Ryalls 1:34:33. Junior Sophie Burton completed the Novice Try an Aquathlon (8-10yrs) – 25m swim / 600m run. 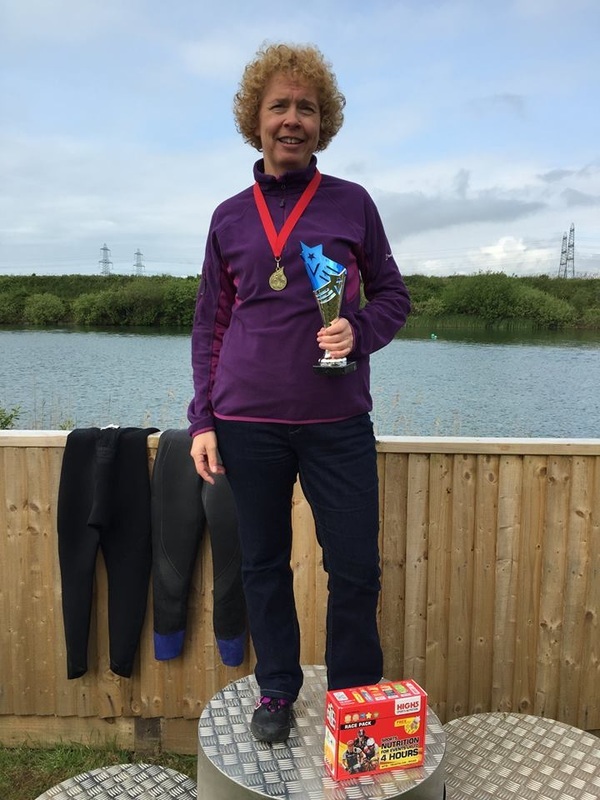 Perfect for those little ones who are new to the sport and open water swimming, distances are short and emphasis is on gaining confidence and having fun. Well done Sophie for your first of many! Sophie finished in a time of 4mins 44secs and was 2nd in her AG. In the Adult Aquathlon (750 swim 5km run) Dan Marshman placed 2nd overall with a time of 32:07. 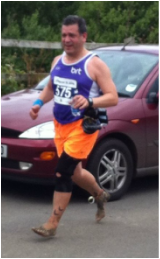 Brother Ali Marshman came in 3rd with a time of 35:30. 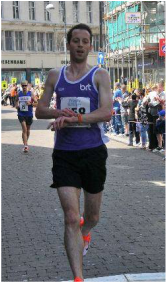 Also on 19th June our very own barefoot James Graham set a new pb of 6:44 for the above event. Very well done James!